I found another Nails inc set that I really liked the look of. The bottle is a square shape with a silver lid with a black screw top underneath. 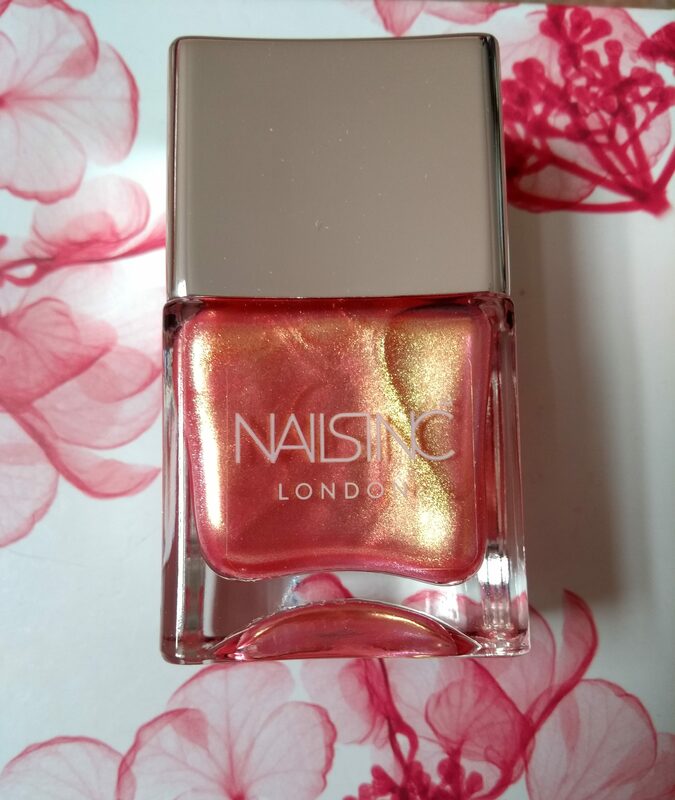 The nail polish is a gold- coppery glittery shade with hints of pink. 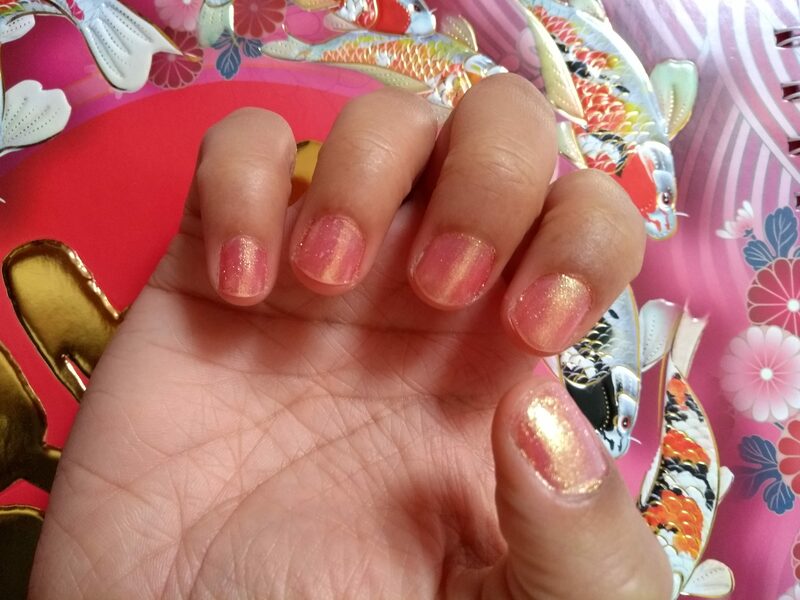 This nail polish was easy to apply and I managed bout two swipes to cover the nail. It was sheer but looked as if another coat would just about do to make it opaque. Drying time seemed reasonable and just as predicted 2nd coat was opaque. 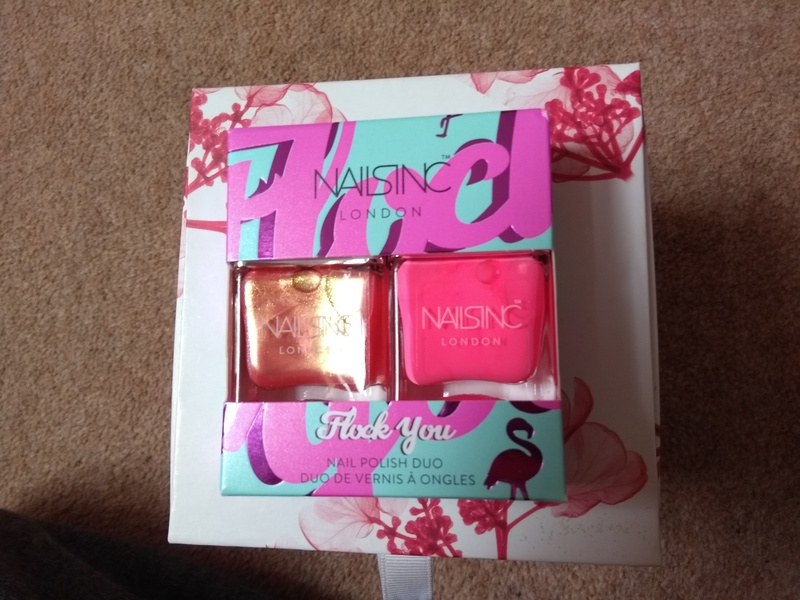 This nail polish claim to have green in it according to the description on the box but I did not see it. It comes across as a gold or copper or even slight orange colour with hints of pink which altogether makes a very pretty look. I give this nail polish a 8/10. 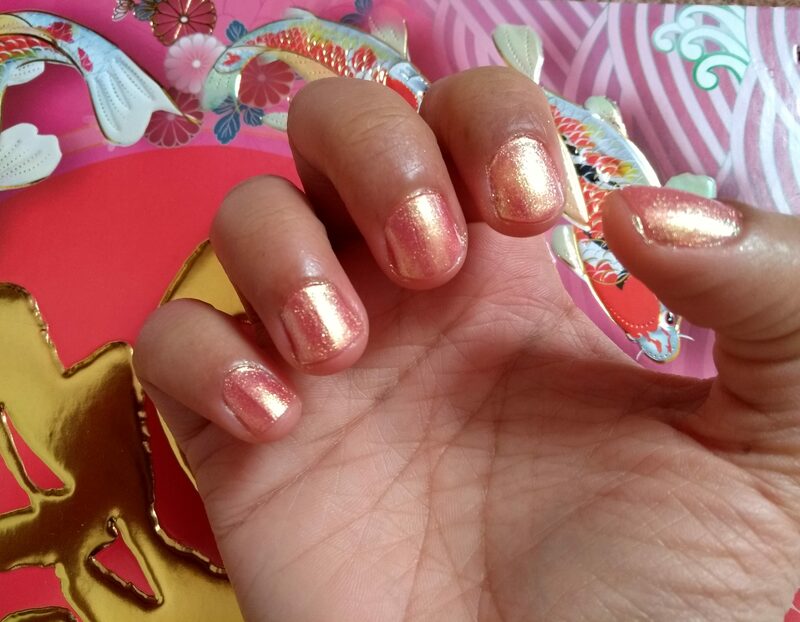 It is expensive but the result along with the two coat opaqueness and lots of shimmery glitter is worth it.